TORT TALK: Is Tort Talk Worthy of Being on ABA Journal's Blawg 100 List? Is Tort Talk Worthy of Being on ABA Journal's Blawg 100 List? The ABA Journal just issued its Annual Blawg 100 in its most recent edition but, unfortunately, Tort Talk was not selected by the panel of judges to be included in its initial list even though it made the cut last year. However, according to the ABA's website, there is what the magazine calls a Blawg Amici aspect to the selection process. These friend-of-the-blawg submissions, or votes, are short testimonials from fans in support of particular blogs. 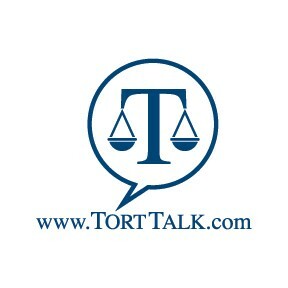 If you wish to nominate Tort Talk (www.TortTalk.com) in this regard, please use this LINK. I note that, in order to avoid voting irregularities, the ABA Journal does require voters to register (at no charge) to its website in order to vote. I have read that, all you have to do is enter a username, email address, and password to register, and submit a write-in vote for Tort Talk. If you have any trouble, click HERE for the "Contact Us" page to send an email to the magazine for assistance. I THANK YOU VERY MUCH for your time and consideration in this regard.